What started as a promising day was cut short by top cover in the afternoon. The Cross Country Mentoring Group had a good run with lots of Kms and a few landouts. Day Winner for achievement with a big smile goes to Richard Clark who flew to Enstone for his Silver distance. Well done Richard. 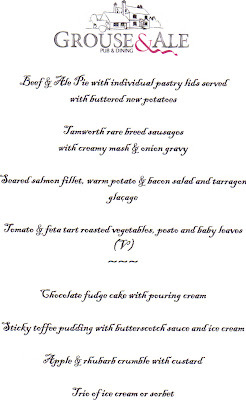 A very good turnout for the dinner at the Grouse and Ale. Trophies and First solo certificates. 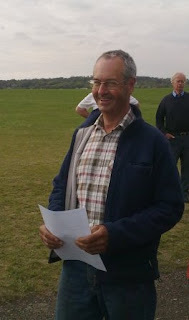 The Club received an improptu visit from the Chilterns Conservation Board today. 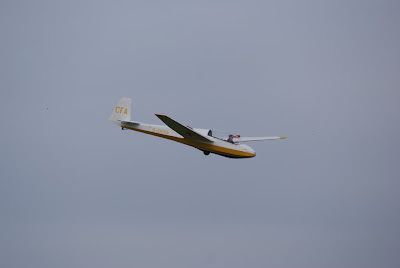 The Board were on a field day and called in to find out more about the Gliding Club and its activities. They were interested to hear about our history and achievements and how we operated. Some have promised to return for trial lessons. David Clarke, David Humphreys, George Greenfield, Martin Kicks, and Simon McCracken arrived 08.30 BST for the first day of their bronze course being run by Glen Alison and Julian Saakwa-Mante. After the introductions, course objectives and weather we got the kit out as a front was expected about midday from the north with the possibility of rain. 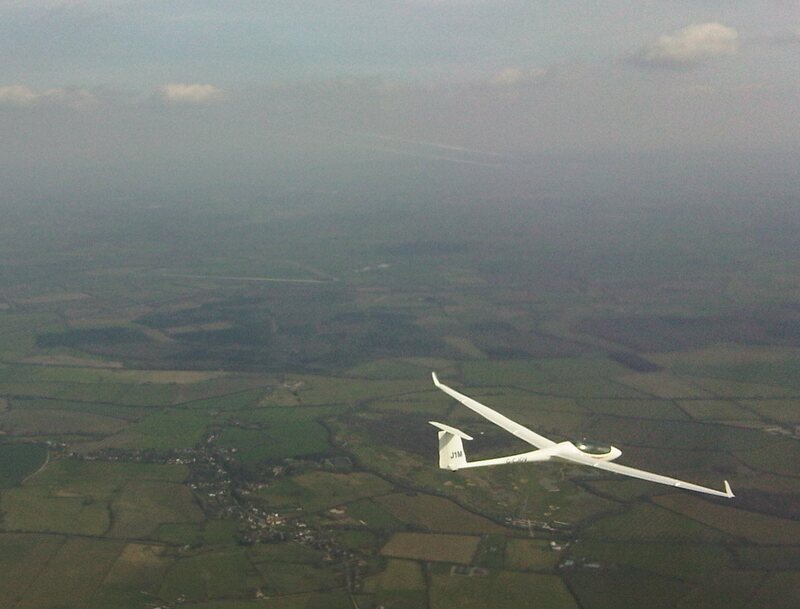 We started on 06 with the wind 100/8kts, 2/8 octas at 4000ft+ 10k vis. The wind veered during the morning to 170/8kts and the resulting southerly wave influenced sink made the circuits instructive. By midday the wind had gone round to 240/10kts so we changed to 24, the expected front petered out and we had some good soaring up to 3000ft. 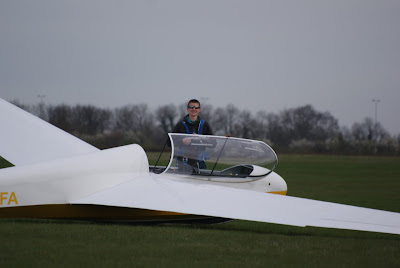 Simon who’s recently gone solo achieved his third flight over an hour on his fourth solo flight – nice day! On his 16th birthday, Will took to the air on his own. 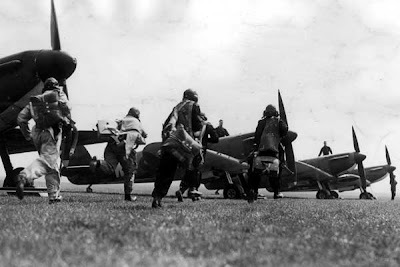 Scramble chaps. The Booker evening groups are starting again for the summer. Your opportunity to fly in the summer evenings with these intrepid aviators. Whether it is ab-initio training, early solo or just enjoying flying in a relaxed traffic free environement. Once again the club will be offering trial lessons for only £55. Tell your friends. More details from the office. 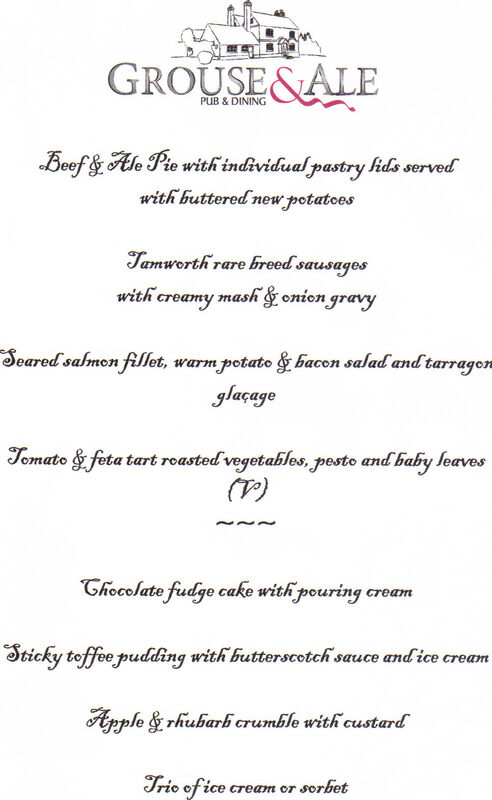 Please contact the office to confirm that you will be attending and give them your choice from the menu above. Plenty of activity today with a good gaggle of gliders off on the club task. Suitably enthused by Jim's XC lecture about 10 of us set off, most on Andover/Towcester/Didcot for 260kms. Ben Crook in 580 did well to keep up as far as Bicester, Bill Winthrop got some coaching from Dave Caunt in the Duo and with 5 kt climbs to 4000' above Booker we all had a great day out. 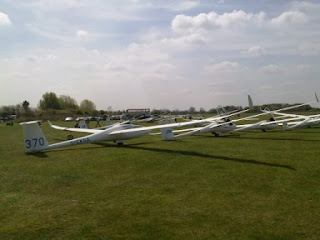 A busy day at Booker with lots of gliders launched in record time. 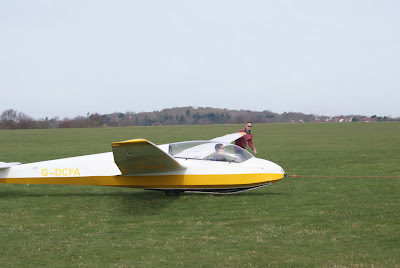 Tim Scott set an AAT and about a dozen gliders of varied experience flew the task. We learnt a bit more about the intricacies of AAT's, but most important we all seemed to have a very enjoyable day's flying. Thanks Tim. Bedford disused airfield on the third leg. The day looked too good to 'work from home' so a day at Booker seemed in order. Dave advised me on what I needed to do to improve my flying and I was able to put this into practice. More practice needed, I know, but today was a brilliant experience, one I would recommend to anyone. One last look at Sywell before heading south. 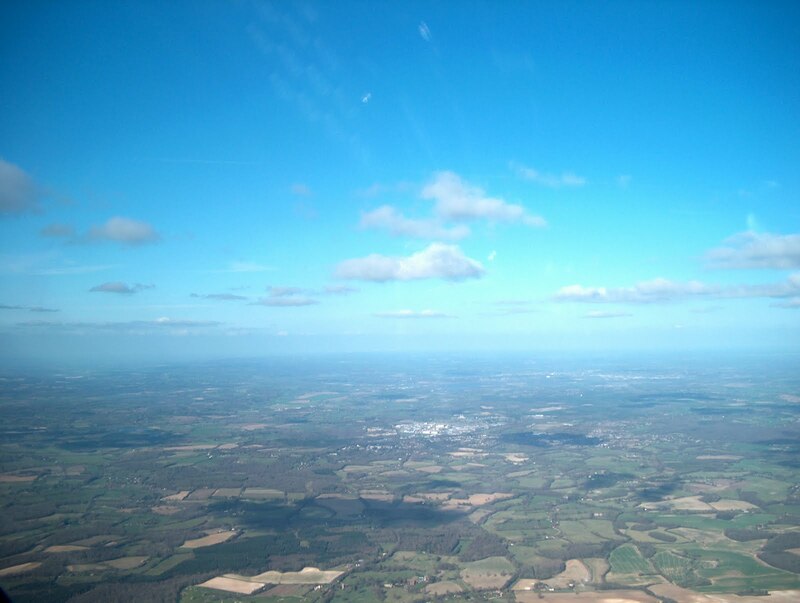 We didn't quite complete the Booker, Towester, Oundle, Hungerford, Booker planned route as we decided to head for home once we rounded Didcot - still a great 4 hour flight. Thanks Dave! Stuck at home whilst waiting for a new freezer to be delivered I watched the day improve and imagined all the flying that would be happening from Booker. It was quite a suprise to see that only Nils appeared to have used the day. Well done Nils may you have many more days this year.